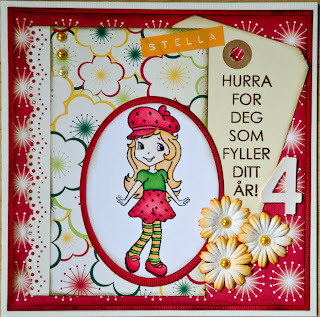 Har brukt rød og lys Bazzill, mønsterark fra Cosmo Cricket, en tag, dymo, blomster fra Wild Rose, perler, tickers, dies fra Spellbinders. Motivet er et gratis digitalstempel fra Anne Bodil og det er farget med Promarkers. Skjørt og lue: Berry, Red og Lipstick Red. Strømper: Gold, pine og Forrest. Bearly mine - Girly birthday card. 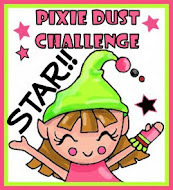 Papertake Weekly - All things girlie. The cupcake challenge - Layers. Love to create - 3 of something. Made especially for you - 3 color. Crafty Boots - Bingo: Green, pearls and Yellow. One stitch at a time - Anything goes. 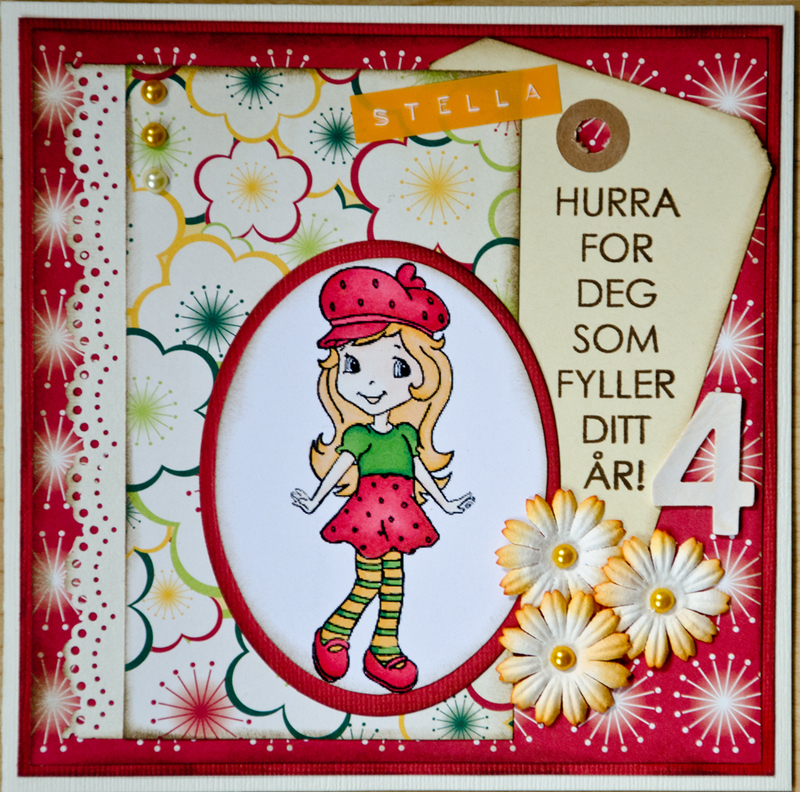 Fun with shapes and more - Summer birthday. 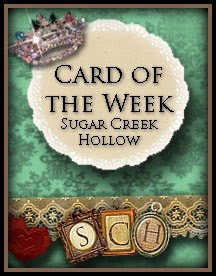 This is a pretty card, I love your sweet image and lovely bright papers. 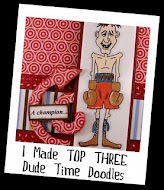 Such a sweet card and image you found. Love the colors, bright and cheery! Thanks for playing at Made Especially for you this week. Så skjønt kort, perfekt til ei lita jente! Tenker niesa blir glad for dette. Herlige, friske farger, og fint fargelagt. so sweet! Thanks for playing along at MEFY! Such a cute image, I love the layout. 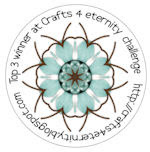 Thank you for sharing work with all of us at Crafty Boots Challenges. Super cute image. Great card. Thanks for joining us at One Stitch at a Time. Thank you so much for playing with us at One Stitch At A Time this week and please come back next time. Beautiful! Thank you so much for playing with us at Love to Create Challenge!! Come back and Play with us again really soon!! Oh wow ... this is just so cute ... I love the colours that you chose! 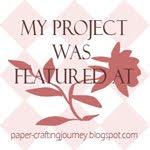 Thanks for sharing with us at Made Especially For You! Gorgeous card, love the Design! 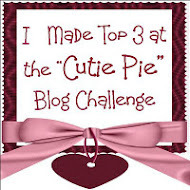 Thanks for sharing with us this month at Cupcake Craftroom Challenge, good luck!